I have been pretty good at predicting things relating to most car brands, including Jaguar, especially when people were still slamming the British marque and I forecast a sales’ recovery. But here’s one I didn’t get, though when you think about it, it makes perfect sense. Offering a rare insight into events at the British luxury carmaker following its purchase by Ford for $1.4bn in 1989, Mr Callum indicated that there had frequently been tensions in the relationship. He disclosed that, in spite of Jaguar management denials at the time, the X-Type small Jaguar—sales of which have fallen far below expectations—was essentially designed in Detroit and presented as close to a fait accompli to reluctant designers and engineers at Jaguar’s Whitley design centre, near the Midlands city of Coventry. I never knew this: I was suckered in by the press reports that this was a British effort. But it makes complete sense. Ford is known for being less than competent on a number of its moves in Dearborn. The X-type is a pastiche of a Jaguar, which Jag itself was unlikely to create. You didn’t need a spiritual medium to tell you that it fell short of the Audi A4 and BMW 3-series in terms of desirability. And Callum’s predecessor, the late Geoff Lawson, said he wanted each Jaguar model to have a unique ‘face’—so why was the X-type a mini-XJ6 in looks? Now we know. When you think about it, the X-type platform could be a useful basis for a mid-sized Tata, though legally there are hurdles. I’ve had to keep this under wraps till today, but since we’re about three weeks from launch, I now have permission to let you all know of this nice development at Lucire: the launch of a new magazine, Twinpalms Lucire, for a specialist market in Thailand. It’s been such a smooth process working with Miguel, who has done a huge load of work on the new print magazine. And I take my hat off to Twinpalms Phuket, which has been very accommodating of our own wishes. The Twinpalms brand appears ﬁrst for various historical and contractual reasons. 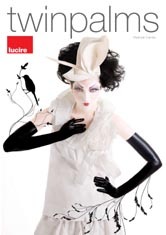 Richard Machado’s ﬁrst shoot for Lucire, ‘Papillon’, re-appears on the cover. If you look inside the magazine, Miguel is very much a proponent of the Swiss grid and Helvetica is the main typeface. It’s very different in feel to Lucire in other countries, but I still love what he has done. It’s a classy, elegant production. There are plenty more articles saved up for the next issue, too. We plan on the title being six-monthly. Lucire, the international fashion magazine headquartered in New Zealand, has announced that it has collaborated with the Twinpalms Phuket resort and Asia Design Consultants Ltd. to see an extra print edition in Thailand. Twinpalms Lucire launches February 20 with 5,000 copies distributed through the Surin Beach, Phuket resort and its sister properties. The magazine has features on fashion, lifestyle and travel, with a lesser emphasis on beauty when compared to Lucire’s other print editions. Miguel Kirjon of Asia Design Consultants oversaw the production and editorial mix, in collaboration with Lucire founder and publisher Jack Yan, deputy editor Sylvia Giles and assistants Dominique Whittaker and Ashleigh Berry. Many of the Lucire articles had been commissioned by Laura Ming-Wong, the magazine’s editor in New Zealand. Mr Yan says, ‘This is another small step in growing the Lucire brand, targeting it at an aspirational audience that says, “I want to be a step ahead.” We’re conﬁdent that the Twinpalms audience will love our mixture and socially responsible approach to fashion and lifestyle reporting. In addition to its design direction, Mr Kirjon has commissioned many additional, original articles for the Twinpalms’ side of the magazine. Twinpalms Phuket is a member of Small Luxury Hotels of the World, one of the most exclusive collectives of hotel properties internationally. The resort is privately owned, with a private beach club and an enviable location next to Millionaires’ Cove. Lucire started as an online fashion magazine in 1997 and is notable for having diversiﬁed into print, rather than adopt the print-to-web approach of its competitors. Its Webby-nominated website remains a popular destination for fashion leaders, while the print magazine is regarded as a luxurious and socially responsible publication. Online Lucire readers will notice the Levi’s 501 Design Challenge graphic on its home page today, which is tied to the Project Runway competition on TV. The challenge: to create iconic looks based on pairs of Levi’s 501 jeans and the trucker jacket. But now, you can join in the fun. On the Design Challenge page at the Levi’s US site, you can now create your own designs. Use the 501 jeans and the trucker jacket as raw materials, you can design your own masterpiece, with the important criterion being to capture the originality and spirit of Levi’s. Your deadline is February 6, 2008. You’ll need to register ﬁrst, and the online Project 501 community will vote. You can even sign up as a judge. After the voting, if your design has been chosen, it will be produced and sold via levi.com. So get your friends to register and rate—the more ﬁve-rivet ratings you get, the more likely you’ll make it into the top 20. It’s an excellent way to tie in sponsorship of one programme with the audience, and Levi’s is right to build this up around the idea of online networking. We’re going to see more and more of the “watch tonight, participate tonight” promotions, especially with an online component. [Cross-posted] The Daily Telegraph reported on the campaign spending (speciﬁcally on make-up and grooming) by Nicolas Sarkozy and his rival Ségolène Royal during the French presidential election. Despite being thought of as a conservative newspaper, it painted a rosier picture of Mlle Royal than M. Sarkozy. First up, Sarkozy’s (over-)spending was the lead-in to the story, even though Royal’s was much higher. Mlle Royal’s spending was left to the third paragraph. Secondly, the standards used to round off are biased in favour of Ségolène Royal. Here are the ﬁgures I uncovered, compared with the rounding that the Telegraph did. In every case, it might have been easier just to report the actual ﬁgures. The message, unless the ﬁgures I got from the French media are wrong: overestimate the spending by the right and make it look like the President is getting more state funds; underestimate the spending by the left and understate its burden on the state. The Telegraph might need to re-examine its mathematics. The above advertisement for the Citroën C4 was withdrawn in Spain after complaints from some Chinese that it was insulting to the entire nation. Somehow, I think that’s an exaggeration. Sure, some folks in the Politburo might be annoyed. But there will be a lot of Chinese who think that Mao Tse-tung is fair game when it comes to advertising humour. Americans are quite happy to dress up an actor as Lincoln and make a few jokes, and Elizabeth I appeared in Blackadder. At least neither Abe Lincoln nor QEI was responsible for the deaths of 70 million of their own subjects, managing to butcher more than their enemies were able to. While it’s true I might get annoyed at the same treatment being given to Confucius, surely a more uniting ﬁgure for Chinese people, chances are I’d shrug it off. The late Pat Morita did plenty of Confucius jokes in Happy Days, and I still watched the series—even when the Fonz became the star. Having driven the C4—both diesel and petrol models—I can even endorse these cars. Citroën, don’t buy in for a second that Mao is a universally revered symbol among Chinese, or that we can’t take a joke. And remember that those Chinese people writing on message boards about how insulted they are at this ad are under the surveillance of the Politburo. Ten years ago, they would not have even been allowed online. They know this and they know there are spies and informants online. Everyone is just acting as though they are loyal Communist Party members and not being counter-revolutionary. You can bet that no one in Beijing will complain if Mao was used in a Mercedes-Benz advertisement as a satisﬁed customer. After all, the man ordered plenty of 600 models. No Chinese complained when Citroën used Chinese symbols to sell the AX (‘Révolutionnaire!’) in 1986–7. As far as I can make out, this is just an extension. Of course, Citroën has apologized to the overly sensitive types, I say principally because it has a vested interest in Red China, selling everything from a facelifted Peugeot 206 as the C2 to ZX sedans that command a hefty share of the taxi market. Money and capitalism have won the day and assured the Communists an apology. I wonder what Mao would say to that. I had an excellent meeting, to which I was late, with fellow bloggers Jim Donovan and Mark Di Somma. I discovered Jim via the blogosphere, while Mark and I know each other from the branding world. As those who have surfed Jim’s blog before, he’s no slouch when it comes to branding and we wound up discussing our respective views on it. We also discussed various WWI and WWII battleﬁelds and theatres. I think we should make these casual meetings monthly, so I propose mid-February for the next one. I remarked to both gentlemen that for me, blogging hadn’t been ﬁnancially rewarding given the hours invested in it, but some of the experiences, such as this one, have been well worth the time. The fact that we were able to meet up and discover that there was intelligent life in Wellington—something hidden by the fact so many politicians are based here—was a nice eye-opener. Another funny thing is that in all the years Mark and I have known each other, it took blogging for us to catch up socially. Gentlemen, let’s do it again. Are US Jaguar dealers objections to Tata founded on skin colour? This is not a popular view but here goes. In the United States, some Jaguar dealers are upset that the Ford-owned unit will go to an Indian company. Never mind that Tata is solvent and can afford greater investments on the cars. Never mind that Tata owns Corus—British Steel to us oldies. Never mind that Tata has promised to keep UK manufacturing jobs for both brands. No, these dealers are upset probably because Indians are not white. Not part of the old world or the new world, but, oh my goodness, they have different skin colour. European dealers are reportedly more relaxed as the most important element is not where the parent company is based. No one in American retail ever seems upset that Donna Karan is part of French conglomerate LVMH or that Stella McCartney is part of Gucci. No American consumer seems to jump up and down at the thought that Lamborghini and Bentley are owned by Volkswagen. These parent companies are well capitalized, have good management and a long history—just like the Tata Group. Sure Tata does not have a history of managing luxury brands, but did Toyota have one when it created Lexus? And when it comes to consumers, people are still going to buy Jags and Land Rovers for exactly the same reasons as before. For years, no one batted an eyelid when these brands were American-owned. They were still considered English and never American, and that’s not going to change in 2008. It sounds like a few dealers don’t understand their consumers very well, motivated by some redneck element that’s hardly representative of Americans in general. [Cross-posted] At high school, one teacher told us that he was proud of the fact that New Zealand, when he was younger, had the highest car ownership rate in the world, due to our world-beating standard of living in the 1950s. In the 1980s, we were still in the top ﬁve, but behind the US and Japan. It’s still high today, but it’s hardly anything to be proud of. As the mood of our society has changed toward one that is more environmentally conscious, car ownership is not as cool as it once was—in fact, car ownership may be said to be warming things up. Still, the love affair with the car has not abated, and with India now getting excited over the Tata Nano, we may see a slight change in ownership rates there. Here are the 2004 ownership rates from Earth Trends, which suggest that we have been lousy at getting public transportation up to speed with consumer demands. Still no one has considered putting wiﬁ into trains, even if Singapore Airlines has done so with planes for years. About the only innovation that I have seen are the GPSs that tell people at a bus stop how far away their bus is. They aren’t enough. There seems to be little correlation between ownership and petrol prices. Iceland leads the table these days, and their petrol costs more than any western country I know of. There are other interpretations which I won’t go in to for a casual blog post. I have compiled this manually, so there may be errors or omissions in the ordering. The number is vehicles per 1,000 people. I have only noted 450 and up. Japan is just outside at 441, which suggests, inter alia, relative progress in public transportation since I last looked at these stats in the 1980s. We and the US seem to have swapped places in the last 20-odd years, which to me means that the Americans have done better with public transportation than we have. One of the few good sides to our stats is that New Zealand is a spread-out country with low population density where the car is more a necessity. The other favourable interpretation is that there are more young men buying cars, whereas 20 years ago they could only afford a motorcycle. Environmentally, this might not be ideal, and young men are high-risk for insurers—but the ﬂip side is that they stand a better chance of surviving inside a car than on a bike. Whatever the interpretations, I dont believe these are useful indicators of a societys afﬂuence any more. Sir Edmund Hillary, paradigm-shifter: who is next? [Cross-posted] Fellow Voxer Bridget’s post on Sir Edmund Hillary’s passing expresses what many New Zealanders are feeling today. Not only has a great man left us, but the idea of a living hero has died with him. Our role models are far and few between, she argues, and she is right. I cheekily suggested that the only person who comes close to being a patriot is Peter Jackson, the ﬁlmmaker, for his resistance to relocate to Hollywood and his insistence on making his movies here. He is deserving of the title of a role model, though because of the time-frame of his success, he might not be regarded in quite the same heights as Sir Edmund—yet. Jackson is a paradigm-shifter in so far as he proved that New Zealand is capable of multiple Oscar winners that ﬁnd mainstream audiences globally, but he is not one who proved that New Zealanders could make ﬁlms. Earlier directors who did depart for Anglo–American shores did that. One could say that Sir Edmund Hillary was not the ﬁrst man who proved that Kiwis could climb mountains, but it may be right for us to view his accomplishment with eyes opened more widely. In 2000 it would have been within the realm of imagination for a ﬁlmmaker to start something domestically. Maybe our imaginations would not have said anything at the level of a trilogy of Tolkien adaptations that would wind up doing a clean sweep at the Oscars, but we would have said it was possible to start mainstream ﬁlm-making. Martin Campbell, for instance, was thinking of making Vertical Limit here. In the 1950s, with plenty of loss of life in other attempts, Edmund Hillary and his expedition proved what was considered impossible up to that point. The prior loss of life is what adds to the heroic image of Sir Edmund Hillary, succeeding where human endeavour could not before him. So without Sir Edmund and if Peter Jackson does not qualify as a hero (though still someone to be hugely admired and respected), to whom do we turn today? As Bridget points out, the tall-poppy syndrome is alive and well, and Sir Edmund might have been an exception in New Zealand as someone who could be considered a national treasure in his lifetime. Even if the syndrome is extinguished, Sir Edmund lived through years when it was rife. You literally had to do something as grand as climb Everest to get past it. And since 1953, we haven’t lauded anyone for their accomplishments to the same degree. We didn’t send a man to the moon, and we didn’t invent the internet. The slacker quiet-man mentality of the boys from Flight of the Conchords is disturbingly close to the national psyche on numerous levels. Hillary and Tenzing Norkay’s sons might have scaled Everest in tribute to their fathers, and that is no small feat, but just like the Fantasy Island TV remake, no matter how much better you do it, people remember the original more. I suppose, too, with the advances we have made in the last 50 years, there are fewer things we are calling ‘impossible’ unless we begin to think in greater mental leaps—maybe solving how UFOs supposedly get across light years in limited times, ending the dominance of the internal combustion engine as our way of getting around short distances on Earth or curing HIV and Aids. Institutionalization and politicization may have seen to our inability to really drive forward humanity, even if some geniuses out there may have worked out most of these problems. Sir Edmund Hillary reminds us that we can dream of the impossible and steadily work to achieve our goals. He may have scaled Everest in 1953 but he ﬁrst became interested in mountain climbing before World War II, in the mid-1930s as a teenager. We are talking a 20-year dream that he steadily accomplished. All of these people she talks about are short-termers, people who are quite happy with ﬂash-in-the-pan moments in the mainstream media, praised as though they were latter-day Hillarys deserving of our attention. In reality, no parent in their right mind would want their kids admiring any of these idiots. The paradigm-busters are there, bubbling under. New Zealand is an inspirational place so it is hard not to come up with a dream and to accomplish it. However, whether these people have a chance to surface given government policy or institutionalization or the tall-poppy syndrome or the foreign-owned media is another matter. They might even bugger off overseas as so many have done before them. We need to encourage them to come forward as individuals and know they will not be laughed at or ridiculed for having a dream. God knows that vacuum exists now more than ever. And we already know this. In fact, the National Government told us so in 1999, just before the General Election. The document, Bright Future, makes interesting reading in 2008 as we are reminded of lost opportunities. Of course, it was regarded as politicking back then and the programme was cancelled. On Google’s ﬁrst results’ page, one PDF hosted by the UN is the only remnant of the brochure, whereas in 1999 it was stored domestically as well. In essence, Bright Future spoke of the need to foster innovation and to champion individuals. The tall-poppy syndrome, it argued, should die. Anyone who knows me know that I would not campaign for National—at least not the National in its present form—so please don’t read this as a National Party campaign advertisement. It needn’t have mattered if Bright Future came out of the Legalize Marijuana movement. It begs the question, regardless of the source: who is ready to shift paradigms? Or, who is prepared to make a Hillary Shift, one that shifts paradigms from ‘impossible’ to ‘possible’? [Cross-posted] I would say that the new Tata Nano, the Rs. 1 lakh ($2,500) car revealed by Tata Motors at the New Delhi Auto Expo a few hours ago, exceeds the expectations of those who were predicting something that looked more motorcycle than automobile. As we led up to today’s unveiling of the revolutionary small car—aimed to get families out from motorcyles and in to a safer automobile—I had heard all manner of predictions, many of them negative, about the vehicle. Yet Tata has come up with a “people’s car” designed to mobilize the masses in India in the same vein as the Volkswagen, Fiat nuova 500 and the BMC Mini. It possesses a certain chic with a contemporary one-box design that could have come from an Italian design house. While the Nano won’t make it to too many western export markets due to the perceived lack of safety features, it will start a new trend among cheap transportation, especially in an era of high oil prices. I don’t think it’ll take too long for the Red Chinese to copy it and I speculate that Tata may well plan on creating a slightly plusher, airbag-standard version for export. However, as far as Tata is concerned, the Nano meets the requirements of its main market and is safe. The car is available in standard and deluxe models. The most noticeable feature of the latter is its colour-keyed bumpers and wheel trims. What I would really love to see is a version not powered by fossil fuels—a wish I have had for the car since 2006. From a branding perspective, the car represents just how well organized Tata is. 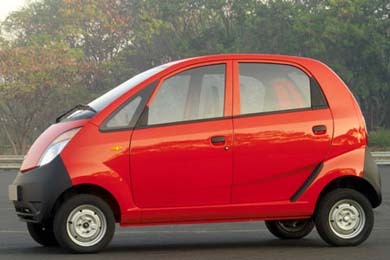 The Nano was the chairman’s baby, pushed through by a charismatic leader and its importance stressed by top management. It could well build Indian industry even more than the multi-billion-dollar Tata corporation can imagine. This, and its acquisition of Land Rover and Jaguar, may make Tata the most talked-about Asian automaker in 2008. Plus, I love the name. Just as Mini was about as small as people could get in everyday speech in the 1950s, Nano is such a common term in the 2000s that the model name makes perfect sense. By now most people in the branding profession have seen the new Xerox logo. Without a real vision change, a brand-spanking logo is not the way to go. Xerox says it will spend more on interactive, so the old logo, which says ‘copiers’ according to the company, has to go. Well, with it goes a heck of a lot of heritage, the days of Xerox PARC and even the memory that the old logo was originally tasked with doing the same thing: tell people that Xerox meant more than copiers. The best judgement comes from my Medinge Group colleague Paulina Borsook: ‘[the rebranding] mostly consisted of throwing things into all lower case and adding a beach ball’. New Year, new blog—at least over at General Motors, which launched its GMnext site and blog last week. Since Bob Lutz’s arrival, GM does seem more invigorated. GM FastLane, which has become a very popular corporate blog, paved the way. While that blog will continue, GMnext is about engaging consumers in a dialogue about the future of motoring and greater industry issues. And it really seems like GM is beginning to understand branding. Ten years ago, it thought branding was selling cars as though they were supermarket products. Now it is beginning to understand that engaging consumers and creating experiences are part of its task. Christopher Garber, Director, GM Global Communications Technology, wrote in the launch post, ‘If you haven’t been able to tell over the last few years, GM is really, really trying to do things differently, and not just in the way we’re designing and engineering our products. To show even more that they know what they are doing, GM has had staff blog for a period before the launch, to get content on there and to have a tag cloud going. This obeys the usual rule that any venture must be launched internally before it goes to an external audience. Sales may be down for 2007, but I think blogging—and following through on consumer inputs—could well help GM regain its strength, despite forecasts of a depressed auto market in the US in 2008. Good stories come during a blogging strike! Former Medinge Group Brands with a Conscience winner Whole Foods Market has done something which we think is excellent thinking. During a computer outage, a West Hartford, Conn. branch decided to not charge its customers. It estimates that it gave away $4,000 of groceries, and had no repercussions from its top management. ‘It was clearly a snafu on our end, and it didn’t seem right [to make the customers wait],’ said manager Kimberly Hall. The call was made by assistant manager Ted Donoghue, so it seems this customer-ﬁrst focus isn’t just lip service from Whole Foods—something we were conscious of when the company won its Brands with a Conscience award at this time last year. The good news, which was leading up to Eid and Christmas, made the Hartford Courant on the 21st (referred by Nick Smith at Life 2·0). It wasn’t a stunt: ‘It didn’t appear to be a big deal to Hall. In fact, neither the store nor the chain sought publicity for what happened,’ wrote the Courant’s George Gombossy. That four grand might have been a pretty big sum to give away for the affected customers on December 13 but the consequences have been far greater. Whole Foods genuinely lives the brand and that can only be a good thing as word of this spreads internationally. About a year ago, I said I really hated these memes being forwarded. But it’s been so long since I’ve been tagged with one that it doesn’t seem to matter as much. So, Dannie Jost, thank you for this—though as you’ve noticed I still don’t believe in tagging others. If you want to do it and you saw it on this blog, please feel free to add your link in the comments. I would like to see K. in Hong Kong give it a shot, ditto Markoos over in Queensland, but no pressure on either of you. Maybe Stefan as well? 1. I am a champagne snob and believe I could, not that I have ever put myself to the test, tell the difference between the French stuff and the local stuff. 2. While I have driven all manner of sports cars, the ﬁrst time I actually broke the 200 km/h barrier was in an Opel Astra. 3. I usually have four or ﬁve books on the go at any one time, so I ﬁnd it hard to believe that an interviewee would only list one for the ‘What I’m reading’ question in some publications. 4. I was baptised in an Anglican church but believe in a different type of hell than the one generally taught. 5. Most Myers–Briggs tests say I am introverted, which must be really odd for a blogger. 6. I have no idea or concept of what marijuana smells like and am in no hurry to ever know. 7. I have a greater admiration for Gerald R. Ford as president than for many others. 8. If I wasn’t such a coward, I would have made a crank phone call to Chérie Blair when she was here in New Zealand and impersonated her husband. [Cross-posted] Fouad Alfarhan is a Saudi blogger who has been writing to advocate greater freedom in his country. He was arrested without charge on December 11. Some bloggers have gotten together to deem today (Sunday, January 6) a day of silence, so after this post, I will not blog publicly for 24 hours. Please tell other bloggers if you feel you should, or observe the day’s silence if you wish to join in this campaign. We can be pretty conﬁdent with Ford’s latest non-announcement announcement that the Tata acquisition of Jaguar and Land Rover is a fait accompli. The Indian multinational says it will make no changes to employment at Jaguar and Land Rover, which no doubt helped swing the sale in its favour. And there are other elements, which I and others have covered elsewhere. One issue now will probably be whether Tata can overcome buyer resistance to brands under Indian ownership. There could be, some say, nasty old racism and prejudice at play against the Indian people. I don’t think it will enter into the dialogue greatly. Most people still thought of Jaguar and Land Rover as British when they were owned by an American ﬁrm. Marketing for the two companies will remain similar, not suggesting any change has taken place behind the scenes. The cars will still be made by the same people. In fact, corporate ownership is one of the things most consumers are totally ignorant about. It is easier for the snobs to buy the idea that certain Italian brands somehow retain their inherent Italian-ness even when LVMH owns them, or that certain French brands are still French even when owned by Gucci. They will probably complain that India has not had a history in luxury brand management. It’s more narrow-minded cobblers, when one considers how Indian fashion has been some of the world’s most ornate for centuries (after all, they have probably had fashion as a concept for a longer period than any western nation). (Satya Paul comes to mind as one premium brand directed at Indians and the Indian diaspora.) More recently, we might be reminded of just how the Indian hospitality industry has raised its standards to equal anything in the west (the Aman Resort group’s properties comes to mind, or the $46,000 per night island holidays from Sahara Group’s Paradiso brand). One of the most well recognized beauty icons is Indian: former Miss World Aishwarya Rai (ಐಶ್ವರ್ಯಾ ರೈ). It doesn’t take a genius to see how some of the richest Indians are living, in mansions that are guaranteed to knock the socks off many of the prejudiced occidental snobs. Indians “get” luxury. When I ﬁrst emigrated to New Zealand, most people thought of Hong Kong as a place of junks and cheap goods. They held this impression well into the 1980s and even the early 1990s, in a pre-World Wide Web age with less travel. Now they think of a cosmopolitan powerhouse. Equally, India—helped in no small part through its nation branding campaigns—will overcome any negative images. What will more likely happen is that Jaguar and Land Rover—or maybe the Jaguar Land Rover division of Tata Motors—will propel Indian industry as a whole into the luxury branding sphere. Others will follow Tata’s lead and in ﬁve years, we will think of Indian luxury totally naturally, just as we think of LVMH or Gucci. The Medinge Group’s next press release will be out in the next 24 hours. Here’s a preview. Stockholm, Seal Beach, Calif. and Wellington, January 4 (JY&A Media) The Medinge Group, an international think-tank on branding and business, today releases its ﬁfth annual Brands with a Conscience list. In the Group’s opinion, these eight diverse organizations show that it is possible for brands to succeed as they contribute to the betterment of the society by sustainable, socially responsible and humanistic behaviour. The international collective of brand practitioners meets annually in August at a secluded location outside Stockholm, Sweden, and collaborate on the list, judging nominees on principles of humanity and ethics, rather than ﬁnancial worth. The Brands with a Conscience list is shaped around criteria including evidence of the human implications of the brand and considering the question of whether the brand takes risks in line with its beliefs. Evaluations are made based on reputation, self-representation, history, direct experience, contacts with individuals within the organizations, media and analysts and an assessment of the expressed values of sustainability. Last year, the group added a unique category commendation, the Colin Morley Award, recognizing exceptional achievement by an NGO. Mr Morley, a member of the Medinge Group, died in the London Underground bombings on July 7, 2005. The award commemorates his visionary work in humanistic branding. and the 2008 Colin Morley Award for a non-governmental organization is given to Star School. ‘For the last four years, the Medinge Group has named Brands with a Conscience, forerunners to the social responsibility curve, long before the mass media came to champion their causes. This year’s mixture of companies again represents those leading the way, including some who pushed the humanist agenda for years without recognition. ‘In particular, we posthumously award a BWAC to Dame Anita Roddick for her lifelong contribution to ﬁghting injustices. This is a recognition that Dame Anita had successfully developed her name into a brand with a reputation, one which had an immediate resonance to many. Star School’s recognition as our Colin Morley Award winner for 2008 is ﬁtting: this is the sort of organization we think Colin himself would have endorsed for its work in combating HIV and Aids in Zululand, by targeting 40,000 high school students,’ said Jack Yan, a founder and director of the Medinge Group. An impressive sustainability-committed body and hair care brand. Its mission positions Aveda as a catalyst for awareness and change at all levels. The company gave its original endorsement to the Valdez Principles (later the CERES Principles) in 1989. Individual responsibility is core to Aveda’s culture. The company regards its employees as change agents with the power to change the course of human civilization. Tony Chocolonely produces 100 per cent slave-free chocolate. Most chocolate is harvested under slave conditions (often by children) in west Africa. Dutch journalist Teun van der Keuken set out to make chocolate products that are certiﬁed slave-free. As he has shown in his TV programmes, that is not easy. He even went so far as to start a court case against himself (which he lost), as a consumer of slave chocolate, to shame chocolate producers. Hennes & Mauritz (H&M) has taken a leading position in crucial issues and earned acclaim for it internationally. The company operates in 28 countries and has more than 60,000 employees all working to the same philosophy. Alongside commercial success, this company demonstrates solid principles of entrepreneurship and a strong sustainability credentials, all the more difﬁcult in a business where unnecessary over-consumption, cost-shaving, and issues of ethical production will be the inevitable accusations. H&M has grown into one of the most demanding fashion producers in the world, and today stands as a benchmark of standards for the industry. Happy is a training company, that makes learning about IT an enjoyable and helps companies create great workplaces. Ethics are at the core of the business, with every new employee introduced to this through the company’s Corporate Scruples game at their induction. Happy has sent trainers to Uganda, Nigeria and Cambodia to, pro bono, to support the creation of local sustainable training centres. In London they provide support to a range of local charities, employ a deaf trainer to deliver IT training in British Sign Language and have been carbon-offsetting since 1991 (long before the term was in use). Although only employing 50 people, Happy has previously been rated the best company in the UK for customer service (Management Today, 2003), the best small business in terms of positive impact on society (Business in the Community, 2006) and the second-best place to work for (Financial Times, 2007). Since 1868, a brand of the utmost integrity, dedicated to the manufacture of quality timepieces. A beacon for the watchmaking craft, which offers three- to four-year apprenticeships in the discipline. Creates limited quantities. Number of employees in 1869: 196; number of employees in 2006: 390. Pursues a strong social and ecological policy as part of its CSR initiatives, and in partnership with adventurer and environmentalist David de Rothschild (Adventure Ecology). With structural measures and alternative energies, IWC is cutting its carbon dioxide emissions by at least 50 per cent. Certiﬁed as climate-neutral business, at the same time a driving force behind the Laureus Sport for Good Foundation, a global organization whose aim is to open up new prospects in life for underprivileged children. Good food with organic (where possible), non-GM ingredients. Leftovers to homeless. First coffee for free each day—in every shop—to remind of the importance of the customer. Several charities supported, also a foundation, a great working environment to all staff. The company is not too bothered about proﬁts. On its website, it states that someday, it hopes to earn 9 per cent proﬁt, but hasn’t yet. Dame Anita Roddick showed admirable leadership not only in the Body Shop but as an advocate for Fair Trade, the environment, corporate social responsibility, free speech and other causes through her personal work. Much of this can be found at anitaroddick.com, which was updated personally until her passing. All of this reﬂects a personal brand that is consistent and honed, supported by causes, many of which are compatible with the Medinge Group’s own aims. Anita Roddick believed in living her own personal brand as much as for her audiences, including the media, and had few detractors, something which cannot be said for many other high-proﬁle types. Star School works with 40,000 high school students in HIV–Aids-stricken Zululand, South Africa. This schools-based intervention encourages learners to build their future through informed decision-making. The group works within existing structures—in this case, the school system. The NGO is financed by the Swedish entrepreneur Dan Olofsson, endorsed by the South African government. Star Schools are now spreading out on the African continent. The project was launched in 2005, and has since been rolled out to 40 schools in the Umkhanyakude district of Kwa-Zulu Natal. Ooh, I love it. The usual Red technique of scaring people from having free speech. Mr Andrew Moore has set up a website called Don’t Vote Labour. Whether you agree with Mr Moore or not, he has a right to express his political view. He is not endorsing any particular candidate: he just wants Labour out of power. The media (Prime TV, NZPA) are trying to make him feel bad for expressing his view, as far as I can tell. The stories are in the news today: Mr Moore, they say, will be investigated by the Electoral Commission as his site could be a breach of the Electoral Finance Act 2007, which covers, inter alia, website communications. Judge for yourself and see if this is the gist of the articles, which are making out like something very terrible has taken place. Not only has Mr Moore not heard from the Electoral Commission, the Commission spokesman contacted by the NZPA suggests that no investigation has even taken place. Read his quotation carefully. Nothing has happened yet. Some pro-government journalist probably stumbled on the website and decided to make life hard for Mr Moore and hoped to scare him into taking it down. The effect is that it has popularized it: the media have done all the marketing for him. We have to be very careful about reading these articles and whether something is in the past or future tense. I say that Mr Moore’s site does not even ﬁt in to the requirements of an election advertisement under s. 5 of the Act. but if that were the be all and end all, subs. (2) would not exist. or how about paragraph (g)? It’s not a blog but one can easily make an argument on why Parliament put that part in parentheses. I’d happily swear that Mr Moore, with his site, is doing no more and no less than what a regular blogger might, and he should not be penalized just for being smarter with his web design skills. He’s simply organized his opinions better so we can see access them rather than trawl through dozens of posts to get them all. For years I worked on websites and put up what might amount to blog entries in 2008—but I did them in good ol’ HTML and made them look like regular web pages because I don’t always think the blog æsthetic looks nice. Mr Moore shouldn’t be penalized on his tastes, either. And, let’s face it, if you manually typed in dontvotelabour.org.nz as I did, you are pretty sure what political position the site has taken. Or if you clicked on the link here. Mr Moore is not shoving his website down our throats—which makes it just like a blog that we have to access ourselves. This is not from a push medium like TV or print. I think any judge analysing the rationale of why words under s. 5 (2) (g) are parenthesized would come to a conclusion that Parliament meant for a wider deﬁnition and that those words are merely a guide. And before you think I am launching into Labour, I would have written a similar post defending a webmaster who set up a Don’t Vote National or Don’t Vote Greens website. Election year. So, where are we? Miss Clark is perceptive, and she was right. And in the last nine years, has Labour done much to reverse this widening gap between rich and poor? What I see out there is more foreign ownership of New Zealand enterprises—TradeMe comes to mind as a biggie—which means more and more money that this country could have gained in taxes to fund education and healthcare goes offshore. I see more food banks out there and statistics show that during this Labour administration, the number of parcels handed out has shown an increase. The idea of raising taxes in 1999 to 21·5 per cent has done little to slow the decline in our productivity and narrow that gap. This has led to increasing social problems, from violence to state-sanctioned gambling, on which our own government spends millions to promote (such as Lotto). I do not doubt that Helen Clark has the right heart. Of the leaders I have met, she is likeable, comes across as sincere and is very respectful of others. I believe she has a true sense of compassion. Yet in her third term, we have seen a Parliament that has passed ridiculous laws such as the ban on parliamentary satire and ex post facto legislation over campaign ﬁnance that would be considered highly illegal and questionable in a democracy such as the United States. Screw the rule of law if Parliament is supreme. We have seen kowtowing to Red China over a free-trade deal where more jobs, especially in textiles, have left this country. We have even seen the Reds throw their weight around, such as when journalist Nick Wang was barred from covering a diplomatic function by our own police force. Through all this, National has been silent in its agreement. It’s too busy pirating music for vanity videos for John Key. Much of the inability for Labour to move has been due to its buy-in to the global technocratic movement. Charles Erwin Wilson, Secretary of Defense under Eisenhower, is frequently misquoted as having said that what is good for General Motors is good for America. Labour, and National for the nine years preceding it, has been practising the idea that what is good for America is good for New Zealand. Minister of Finance Michael Cullen is a student of this thinking, just as Roger Douglas and Ruth Richardson were. A smoothly functioning libertarian free market system is an ideal and I personally have few qualms about participating in a global economy. Libertarianism is the closest western equivalent to Confucianism, after all. But this is a conditional position. Protection should not be lifted when a country is unsure of whether it has sufﬁcient national skill in replacing jobs that might be lost. A country then has to pay these folks with the dole. If we were certain that we had created national champions that could take on the world—Peter Jackson’s movie-making or Sam Morgan’s internet ventures—then we should be free to become the acquirers of foreign companies and be leaders in that global economy. I had always said that if the economy was going so well, why was TradeMe eaten up by Fairfax? Surely, Fairfax should have been eaten up by TradeMe. Of course this argument is totally selﬁsh. Why should I not safeguard our national interests? By following the post-1984 technocratic movement that has seen to that widening gap between rich and poor, the growth in food banks (there were 16 in Auckland in 1990—how many hundreds exist today?) and the government shifting its tax take emphasis from locally owned corporations to citizens in the lower and middle classes, we are not in a good state today. A bunch of foreign ﬁrms—such as the French who own Just Juice and Eta, the Americans who own Wattie’s and Keri, or the Irish who own the Listener and The New Zealand Herald—can shift their proﬁts offshore and pay as little tax here as possible. And if we were to ask them to pay more, they might just bugger off altogether. The fact is we have lost potential taxes that we could have used if these ﬁrms were Kiwi-owned. This, rather than any short-term nationalism, is what the late Rod Donald was going on about when he pushed the Greens’ Kiwi-made campaign. The belief in our economic system runs so deep that I am not sure whether National or Labour can see that the Emperor has no clothes any more. After all, they have lived like this through a period longer than four world wars and they’re counting on the fact that we are too stupid to remember any more than a ﬁve-year period. Our nation is looking more bare by the year and the big parties want to continue ignoring some very obvious signs that we, as a country, are unhealthy. Our tendency to go, ‘She’ll be right,’ may work with a lot of things, but not when our values and our children’s potential way of life are in jeopardy. If they think we can remember only ﬁve years, then that is still ﬁne by me: do we have less crime or more crime? Among our friends, have we heard of more new jobs or more lay-offs? Is the rich–poor gap narrower or wider? Are we more proud or less proud? Not all is lost, but we have to be smart enough to see what works and what doesn’t. New Zealand, with its natural middle-class tendencies, feels uncomfortable creating a society that has a class difference. This might feel perfectly ﬁne in the US, which since white colonization has gone from hiring slaves to hiring illegals (I am being facetious for the sake of the argument), but historically the model is foreign to Kiwis. The Keynesian system that existed prior had, apart from a period inﬂuenced heavily by the oil shocks of the 1970s, led to a period of growth, social responsibility and even strong employment. What it did not give us, through protectionism, were globally competitive ﬁrms. In 2008, we are all tied globally so the chances of slipping back to redundant, overstaffed ﬁrms is about as likely as Winston Peters actually listening to a journalist’s questions. It is time to look at a government that is not so conned by the whole technocratic movement and to acknowledge, for once, that we need to narrow the rich–poor gap and to grow our middle class again. We need to acknowledge that the creation of national champions to compete on the global sphere is important, whether it is through industry clusters or laws that will encourage domestic ownership of global corporations. Fonterra may be a good example of what can be done, but it rests in a single sector. I want to see secondary and service sector companies beat foreign competitors at their own game, too. I want to see food banks disappear because we just don’t need them any more. We should not be measured by how many we have, as we are today. To get there, Keynesian policies that shore up our own beach-heads and take the best elements of globalization might just work. These ideas are not mutually exclusive. Singapore stands as an excellent example of what can be done, and Lee Kuan Yew was quite an admirer of what New Zealand was accomplishing prior to 1984. I want to see a government which supports private enterprise that creates jobs and uses taxes wisely for the good of the nation. I want to see a government which puts people ﬁrst, rather than spoil MPs with BMW limousines when decent, economic cars a third of the price will do. I want to see a government which is simply responsible and which understands basic tenets about our freedom and how we are a nation of laws, not of lawlessness. Voting Labour won’t get us there, if we truly believe in a social democracy. Voting National—a.k.a. Bill and Silent J.—won’t, either. In 2008, there could be a third way. There has to be. A major congrats to my friend and former Lucire interviewee Jennifer Siebel on her engagement to Gavin Newsom, Mayor of San Francisco. While I haven’t personally heard from Jen yet, the good news is on the newswires presently. Gavin proposed while they vacationed in Hawai’i over the weekend and she accepted, according to the Associated Press. The strange thing is I learned about this ﬁrst via Facebook, when Gavin updated his status. Then I went to check the wire services we’re subscribed to. No doubt I’ll hear the good news some time this week, properly. Lucire ﬁrst encountered Jen in 2003, publishing stories about her in 2004 and 2005. She was the subject of a column in 2007. A New Year begins (happy New Year! ), and an era draws to a close. If any of you have been surﬁng for as long as me, you’ll have good memories of the Netscape Navigator browser, which I began using at version 1·1. (I did use the original, black-and-white version 1·0 at university.) Watching the browser work on a PowerMac in colour was astonishing. I had been developing digital magazines for a little while before that, but not strictly for the World Wide Web. But it was Netscape that showed me that there were much bigger possibilities with this online publishing “phase” which I was going through. Sadly, after eight versions (Netscape 5 never publicly saw the light of day), AOL, the owner of Netscape, has decided to retire the browser on February 1. This comes as no surprise: ever since the excellent 4·7 (I never upgraded to 4·8), Netscape has not come forth with a class-leading browser, overtaken by the version 5 releases by Internet Explorer. From a strictly nostalgic point of view, I am sad that an era draws to a close with Netscape Navigator’s retirement. Then again, I only use my 7·1 two or three times a year. Given that its market share was c. 90 per cent in the 1990s, and it now has a measly share of 0·6 per cent, this is no surprise. I’m better off removing even 7·1 and looking for a nice, stand-alone newsgroup browser.